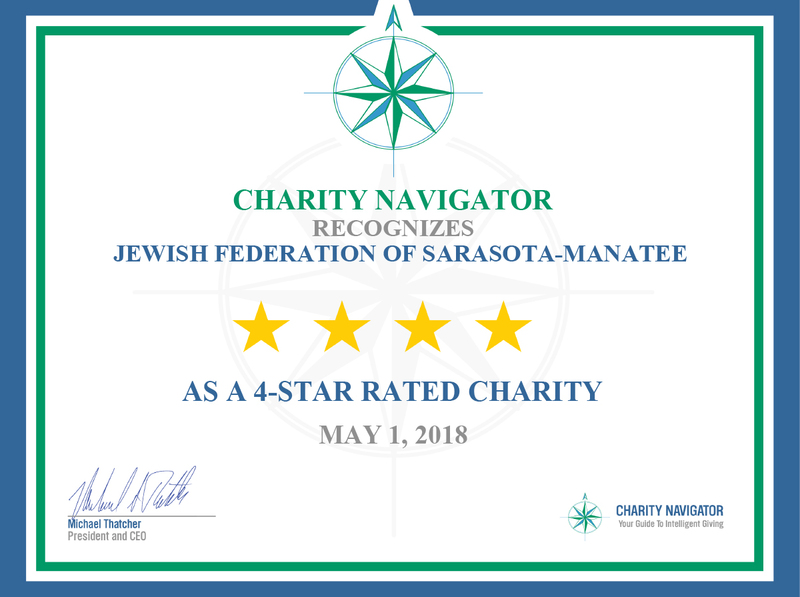 Each year, The Jewish Federation of Sarasota-Manatee awards education scholarships to qualified applicants attending: College, Community College, Vocational/Technical School or University. Below are the two channels of scholarships we offer. Some scholarships may have their own set of requirements. Below is a list of general requirements for all scholarships. Students who identify as Jewish. The only exception is the Robert Michelson Interfaith Scholarship. Students seeking enrollment in an undergraduate program at a university, college, community college, vocational school or technical program. Students whose families have resided in Sarasota or Manatee county full time for at least two years. The primary consideration for these scholarships is financial need. However, a good academic record, involvement in Jewish activities and community service will be evaluated. *If EFC is greater than $25,000 but you believe you have extenuating circumstances, contact Andrea Eiffert before applying. Scholarships applications are reviewed by the Federation’s Scholarship Committee, chaired by Marsha Eisenberg. The Jewish Federation is expanding the Education Scholarship Program to include NON-NEED scholarships for the 2018-2019 school year. Eligible students will be Jewish, and enrolled full-time in a post-secondary undergraduate program. The applicant and his/her parent(s) must be full-time residents in either Sarasota or Manatee county for a minimum of two years. Additionally, ideal candidates will demonstrate leadership qualities, be involved in the local Jewish community and/or pursuing a degree in a field of Jewish study. An essay is required. Top candidates will be interviewed. Applications for interest-free loans for higher education (college, graduate school and vocational programs) are available to Jewish students in your area for the 2018-2019 school year from JELF (Jewish Educational Loan Fund). From March 1 – April 30 (and from September 1 – September 30), the loan application is available on JELF’s website at jelf.org. JELF loans are need-based and offer “last-dollar” financing, meaning that JELF provides the final dollars that bridge the gap between a student’s total financial resources and the cost of attending school. Able to demonstrate financial need (2018 FAFSA application required). For more information, please contact application@jelf.org or visit JELF.org. One $5,000 scholarship is available for a student involved in sports or dance. Three $4,000 scholarships are awarded and are renewable for a second year. Six $2,000 scholarships are awarded: 3 to Jewish students, 3 to Christian students. Five $1,000 scholarships will be awarded. The number and amount of scholarships varies from year-to-year. Available to students with documented intellectual or physical disabilities, or students majoring in a field to assist individuals with intellectual or physical disabilities. Three $500 scholarships are available. The number and amount of scholarships for this program varies from year-to-year.